S.M.A.R.T. PEOPLE: Style: Online shopping at its finest! Style: Online shopping at its finest! 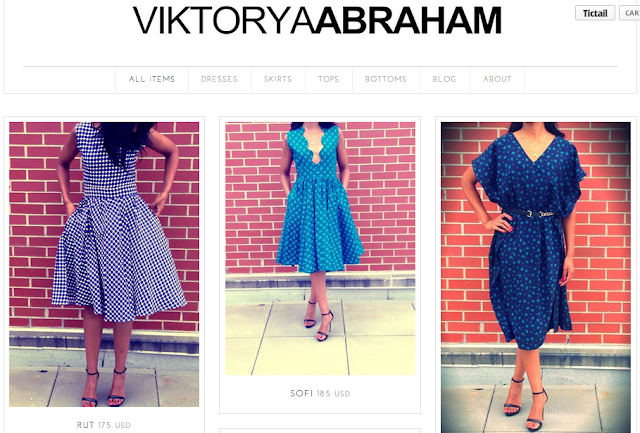 'Viktorya Abraham is a women's wear clothing line that focuses on simplicity and feminine cuts. Our brand is all about accentuating the best features of a womans body. The Viktorya Abraham girl is a working city girl at heart who loves socializing. She transitions from work to play as effortless as can be and all this in the same outfit, the perfect Viktorya Abraham dress.